I’m back! Man things are busy. We never stop working on the bakery these days, and me being gone meant we had a lot of things to do together this afternoon. My trip from Alexandria to Cville was great. I’m listening to Water For Elephants on audio book from Audible.com. Liking it so far! Sadly I have no more car trips in my near future so I might have to resort to listening on a walk or run! But I also got a piece of orange fish from the hot bar [Our Whole Foods is TEENY and we only have 2 small bars!] and some croutons! 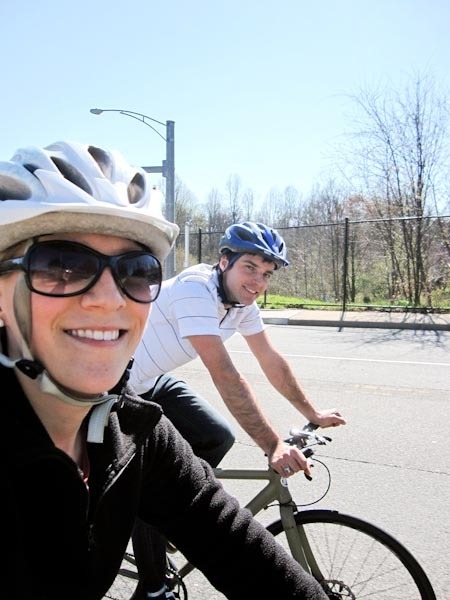 We biked around to a few more errands. It was a GORGEOUS day! Thankfully I was able to work and exercise at the same time! When we got home at 5PM I was tired and hangry. Thankfully I picked up some Food Should Taste Goods at WF! We did MORE paperwork (loans + insurance almost done!) and then made this amazing dinner! It was incredible. I was in love with not only the flavor of the broth (which reminded me of savory ice cream) but also the color of the broth! And the taste of these big Carolina wild caught shrimp (total grocery store splurge today!) I think I ate 3-4 servings of shrimp in this bowl! I kept finding them in the delicious broth! I think part of the reason why the broth was so good was attributed to these new broth concentrates by Savory Choice. They were sent to me to review at such a good time. I have such a problem with broth. So much that I often just use water because I don’t want to buy veggie broth. While I do prefer to make my own stock, we use it up so fast after we do! The kind in a box is expensive, heavy and has lots of wasteful packaging. I had just finished a box of organic bouillon cubes and was not happy with having to dissolve them each time. I also did not care much for the flavor. (I don’t remember the brand). I had gotten some concentrates from Trader Joe’s a while ago but couldn’t find them the last time I went in veggie broth. So I was thrilled to try out these Savory Choice flavors just when I was on the market for some. I have nothing but good things to say about them – the flavor was awesome! It was easy to add water. And I think Whole Foods should be carrying them? I will have to double check the next time I’m there. My only complaint was that 1 packet = 1 cup so we had to use 3 packets in our soup tonight. Heat oil and add greens. When wilted, add broth and coconut milk. Bring to just under a boil. Add shrimp and spices, stirring. Cook for 3-4 minutes, until shrimp are cooked through and bright pink. Do not overcook! I still have tons of unpacking to do – and I’m hoping to get snuggled in my bed with my book + husband soon. Stopping at WF for the hot bar is always an appropriate decision. And I always get the TJ’s broth. I love it! Yay, walls! Y’all must be so excited about the progress!! That soup looks delicious! I have been craving shrimp lately and might have to make that. I’ll have to look for those concentrates too. 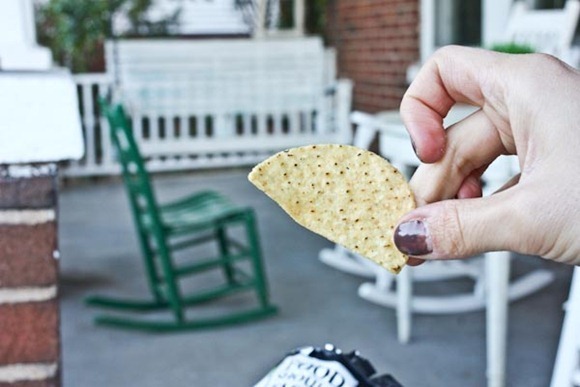 I’m giving away those chips on my blog right now. They are the best! I loved Water For Elephants! listen to it while you walk/run. Or even from bed at night! Yay for outdoor dining! Its the BEST! Green savory ice cream?! I could do that! Looks great. Is there a lot of sodium in the broth though? Store-bought broths are the worst. Do you look at sodium in general? i cant wait to see the store when its finished! Gosh that soup looks delicious. I’m the same way about broth- I usually just end up using water for all the reasons you said. Have you noticed it’s really hard to find low-sodium veggie broth?! The regular kind can be so salty and overpowering it’s not worth using sometimes. It’s starting to look great! Congratulations! 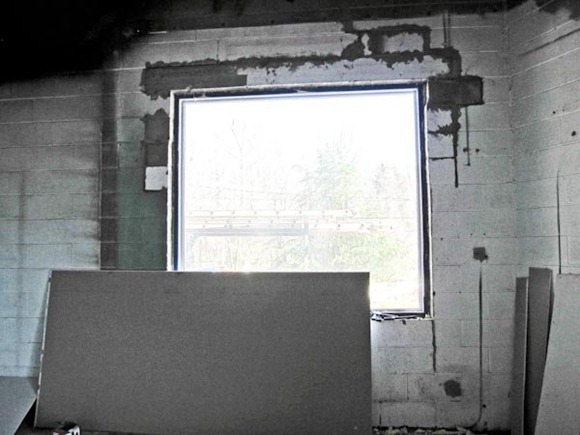 That is so exciting about the bakery coming along! The soup looks delicious and I need to find those lime chips – I’ve never seen that flavor before! paperwork (loans + insurance almost done!) = good for you! people ‘forget’ that aspect of a starting a biz. Thanks for the review of the soup concentrates. I never buy them but should I need one, will remember that one. Yayyy for walls! and that soup looks so good! SO exciting about the walls Kath! That’s when it finally starts to take shape and you can start envisioning where to put everything, how to decorate, etc. Love seeing the process unfold! Oh yeah.. smoked paprika, coconut milk and collards? One of the best combos ever (although chipotle is even better I think! 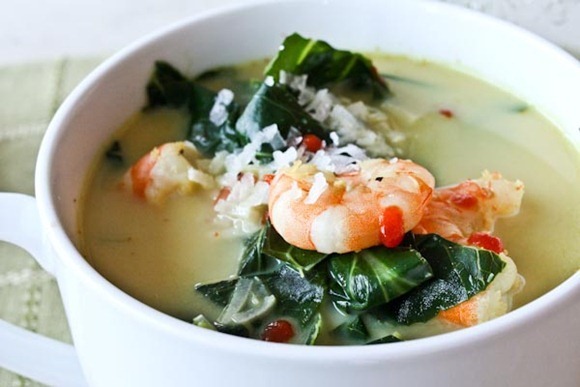 Great soup, love all the shrimp and they look perfectly cooked. I’m interested to see what the do with the WFF movie that’s coming out. I’m always a little skeptical of movies based on books, but you never know! Fun Fact: Water For Elephants was published through a publisher in Chapel Hill! Aloquin (?) Books. I have not verified this fact myself. But it randomly came up in conversation last night! Very nice soup! I think I’ll make it the next time my husband is away for work. (He’s not a huge fan of soup-for-dinner OR shrimp, grumble, grumble). i just bought some food should taste good chips too ! they are addicting. i got “the works”, but i’ve heard the sweet potato is to die for! 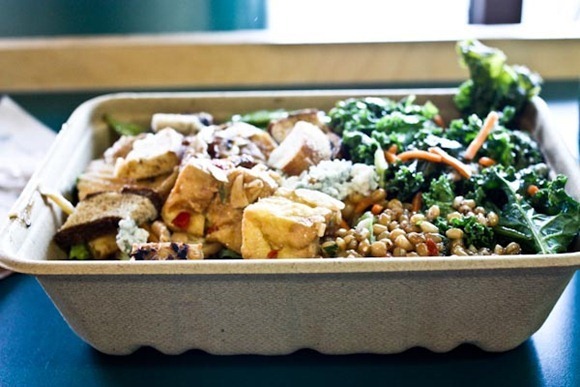 I love whole foods hot bar it is seriously amazing, bakery looks great at least you all are making progress! Snuggling up with husband and book sounds awesome right now…but lots to do still here, too! 🙂 I lived off that broth for a week after I had my tonsils out. I prefer homemade broth (everyone probably does, ha), but it was definitely fast, convenient, and tasted good — got the job done! Yay walls! It’s coming along very smoothly! 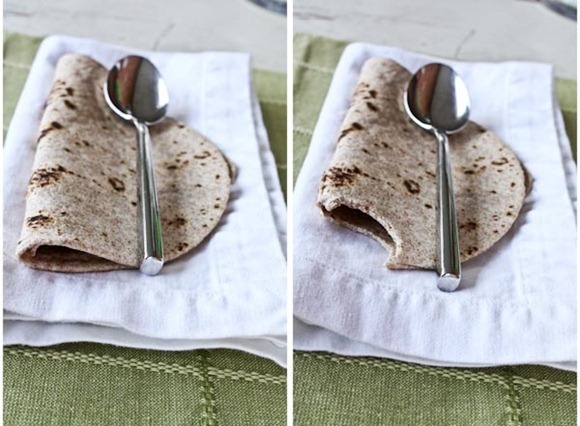 Tortilla napkin-that could catch on! wow it looks like everything is really coming together! 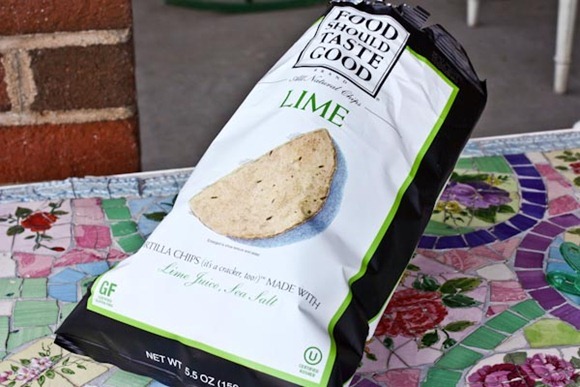 Yum, lime chips rock! And wow! 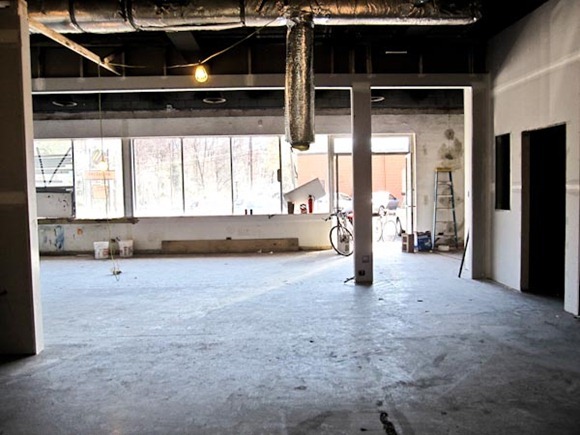 The bakery is really coming along… excited for its opening! 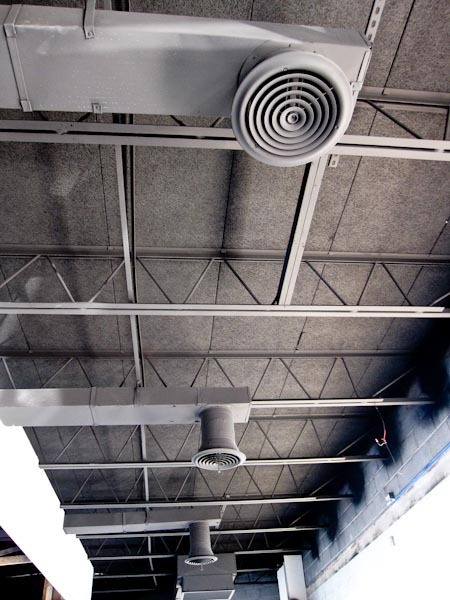 Looks like things are shaping up…exciting! I love water for elephants, hope you enjoy it! 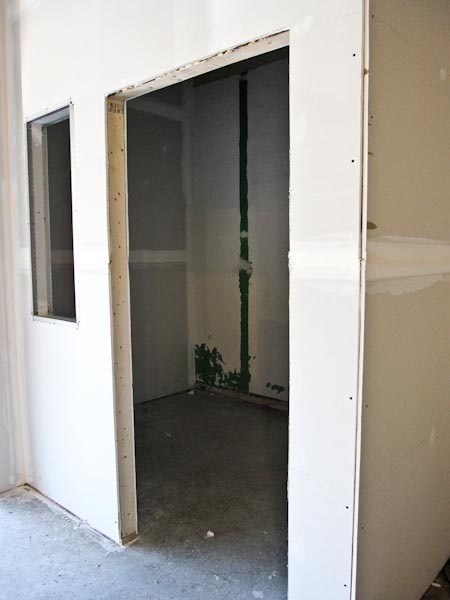 The bakery is really coming along – I love seeing the updated photos. The bakery is looking good! I bet you were ready for some exercise after sitting in a car for most of the morning 🙂 Yay for pretty weather! Water for Elephants is an awesome book. I hope the movie is just as good! 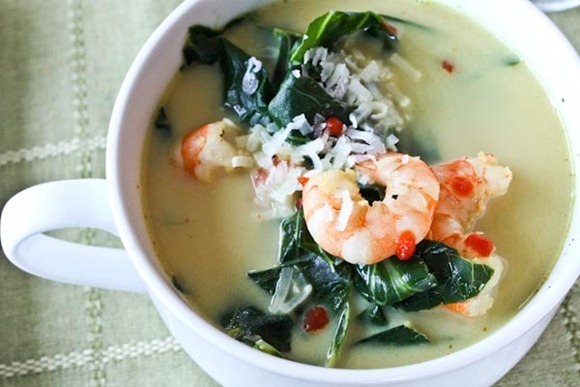 Jealous of your beautiful weather and your shrimp and coconut soup!! 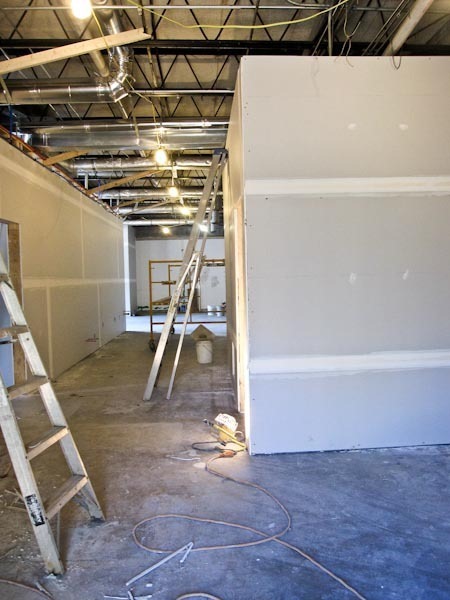 Your bakery is really coming along…. 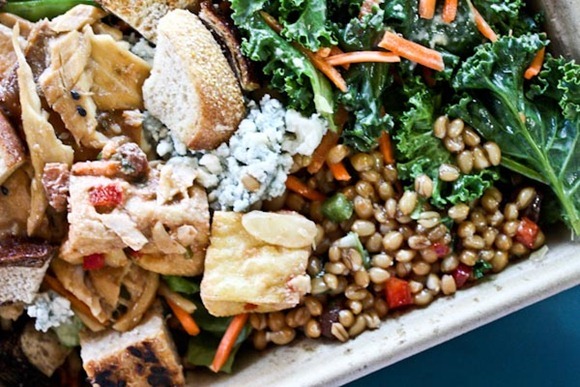 I’m a little bit jealous of all your trips to the Whole Foods food bar. I’ve only ever had the sweet potato version of those chips, and those things are addicting! That “broth” sounds like a cool concept! That soup looks wonderful. Perfect for this weekend. 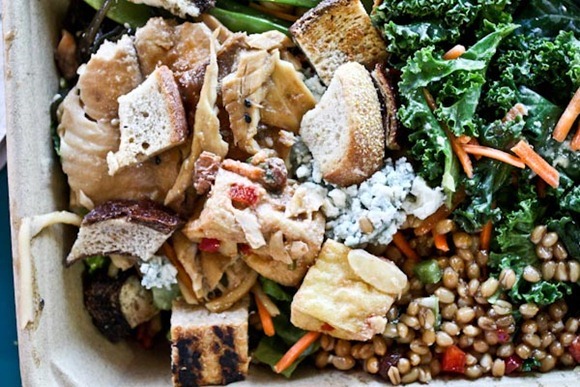 I think I see bleu cheese on your salad, which is one of my fave cheeses. Where do you get the majority of your recipes? Do you have a go-to cookbook or you kind of all over the place when it comes to your sources? We usually invent them based on cravings. I was in the mood for a shrimp soup and this is what we came up with! I LOVE savoury choice!!! I used it in dinner tonight. I love that soup because even though its, well, soup, it still seems light and summery! Perfect for a chilly summer thunderstorm! Despite being crazy and exhausting, looks like you’ve transitioned home well! SO great that the bakery is coming along well, and can’t wait to hear more about it as time goes on. As for the coconut soup, looks amazingly tasty! I love anything coconut, so you got me with this one! I could probably use tofu or beans to make it vegetarian…. Soup looks delicious! Love the creamy green color! Yum, that soup looks delicious! 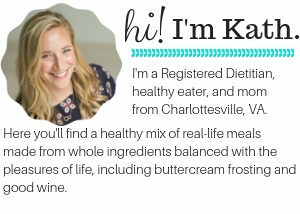 I just had kale for the first time in my life today because my husband and I signed up with a CSA. We will have to try the recipe. (FYI, our Trader Joe’s only carries the concentrated veggie broth at the holidays… weird, right?) 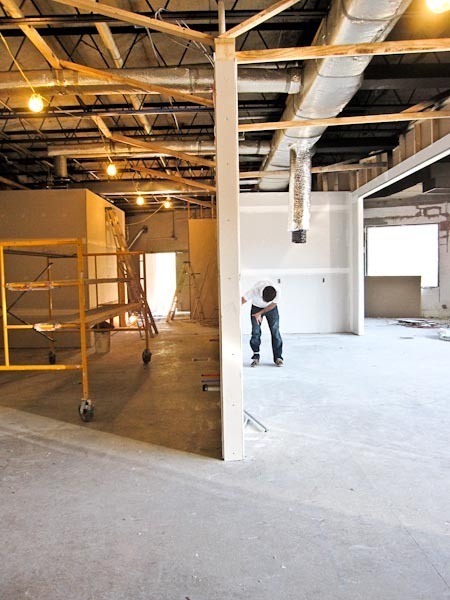 Good luck with the bakery stuff- it looks like it is really coming along. oh.my.goodness. That soup looks AMAZING! Can’t wait to try it!! Whole Foods is always the right choice, and I know you said your WF is teeny, but I would be so happy to have one even near me!!!! Ha! 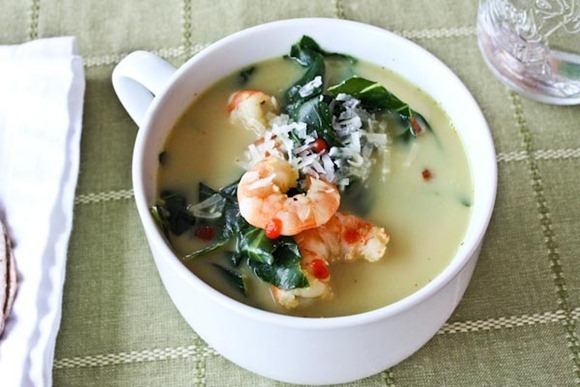 I love shrimp in soups and stew….takes em to a whole new level of delciousness! Yum, that soup looks really tasty!! I bought some wild American shrimp at whole foods last week and haven’t decided what to do with it yet. You are a super-busy woman and you still make time to throw together a fabulous dinner. I love that! Hey Kath, how big is that bakery space you’re working with? 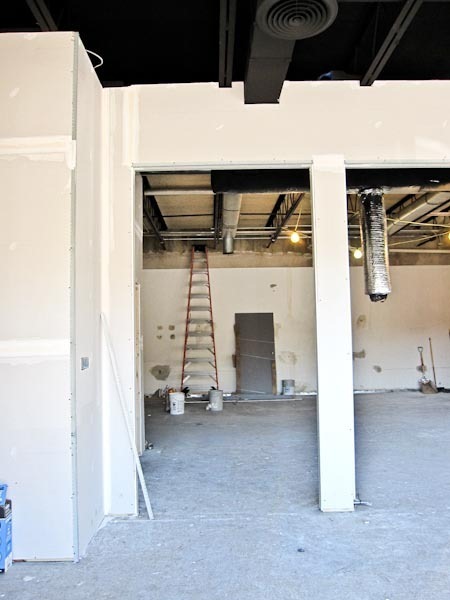 So exciting that your space now has walls! It’s coming along nicely! I can’t wait to see what it will look like when it’s completed! 🙂 Love Whole Foods! I love treating myself to WF salad bar but it gets expensive very quickly! 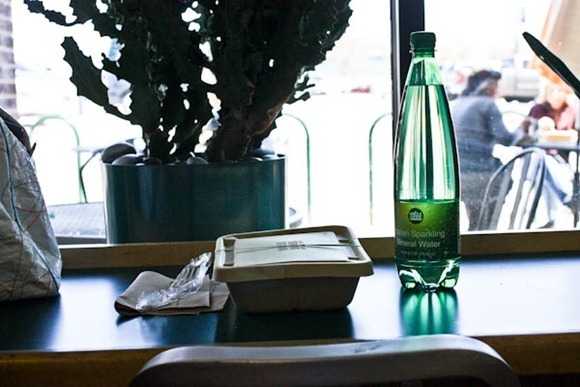 Your salads from WF always look fantastic- can I ask how much on average they cost? Soup looks delicious too! Usually around $10. But since I’m usually foregoing a restaurant with a tip and getting a massive bowl of just what I want, I really don’t consider that expensive. Water For Elephants was such a good book! Did you see the movie is coming out starring Reese and Robert Pattinson? Usually I don’t like the movies as much as the books but I might have to check it out! 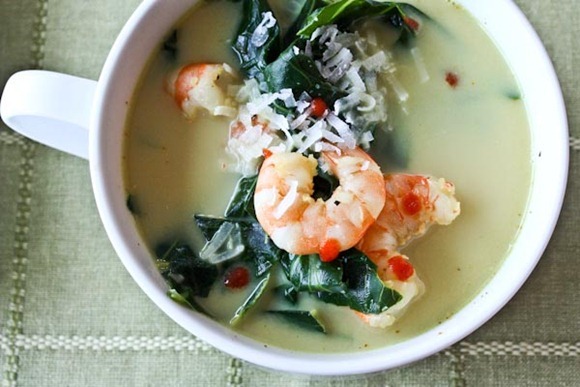 Oh my gosh, this soup has all my favorites – greens, coconut, shrimp, paprika. I need to try this and soon! Mmmmm on that soup – that sounds delicious! 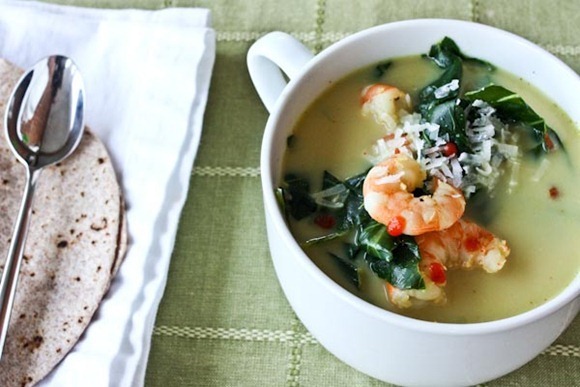 This soup looks so amazing and i am putting it in my make ASAP recipe queue! 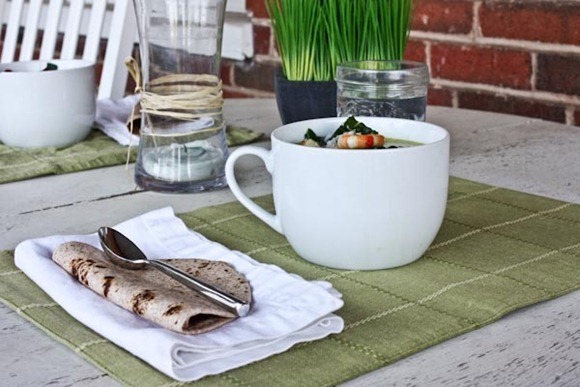 I love the big mugs you use for eating soup as I like eating soup out of mug for some reason. Also, love seeing bakery updates on here so exciting. I am actually re-reading Water for Elephants right now! It’s a good one! The bakery is really coming along! You must be getting so so excited! Kath, did you really use 1/4 cup of turmeric in your soup? Seems like a lot. I loved Water for Elephants – now I can’t wait for the movie! I know I’ll probably end up disappointed by it, as I always am when I read the book first! The soup looks good. I just saw a similiar recipe. Both look good. Which one 1st? I didn’t realize the Savory Choice concentrates were new – just picked up a box last week at my QFC store (which probably means all Kroger stores are carrying it). My husband used to buy any old chicken flavoring, but since I’ve had to change my diet I told him absolutely no MSG and no dairy – Savory Choice met my needs perfectly. 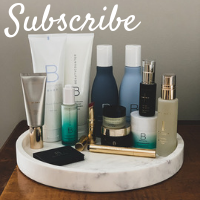 I’m definitely going to buy more. That soup looks so yummy. I could definitely go for that right now. Looks like a lot of progress is coming on the bakery! It’s exciting to watch the progress! those tortillas look awesome, what brand are they? 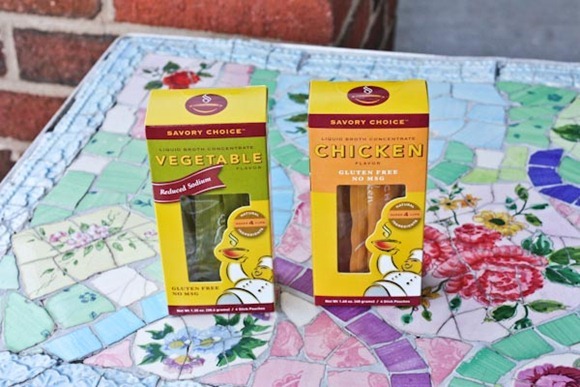 That’s exciting to see Savory Choice is now packaging for consumers! I found out about them at the last ADA FNCE and thought it was one of the best broths I’ve had but they were only selling wholesale at the time. Tortilla napkin!! My husband and I are always joking about uses for the tortillas here in Honduras…frisbees, fans, and napkins are my personal favorites! And the shrimp look soooooooo good!